The Jaguar iPace EV is the first fully-electric vehicle from Jaguar, and it’s been designed from the ground up to be that way. The i-Pace has what anyone driving a Jaguar would expect – quick and superb handling. 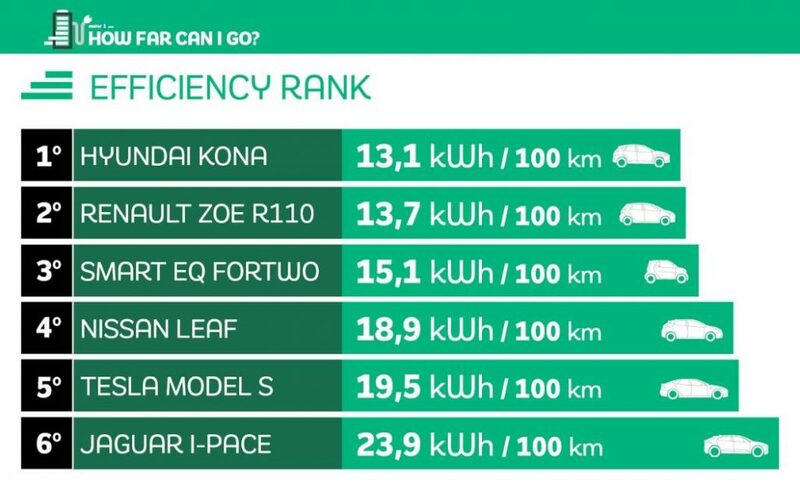 However, when compared to some electric vehicle makers (like Tesla) that have been at it for a few more years, the electrical efficiency of the vehicle is lower, taking 2.9 kWh per mile of driving. Official EPA range is 234 miles for the 90 kWh battery pack, which is less range than the base Tesla Model X, Hyundai Kona Electric, and Chevy Bolt – all of which have smaller capacity battery packs. Charging of the lithium-ion battery pack is done by a 7 kW onboard charger. Acceleration from 0 to 60 mph is done officially in 4.5 seconds, although some independent testing was able to get up to speed in as little as 4.2 seconds. Power for the electric performance SUV comes from 2 electric motors with a total output of 394 horsepower and 513 lb-ft of torque. The Jaguar i-Pace is equipped with 2 different levels (strengths) of regenerative braking, and in the higher setting, it is possible to come to a complete stop without using the friction brakes. There is also a method to allow you to turn off the ‘vehicle creep’ which is a simulated function to make the vehicle act like a gasoline powered vehicle with an automatic transmission – when the brake pedal is released, the vehicle will creep forward even before the accelerator pedal has been pushed.